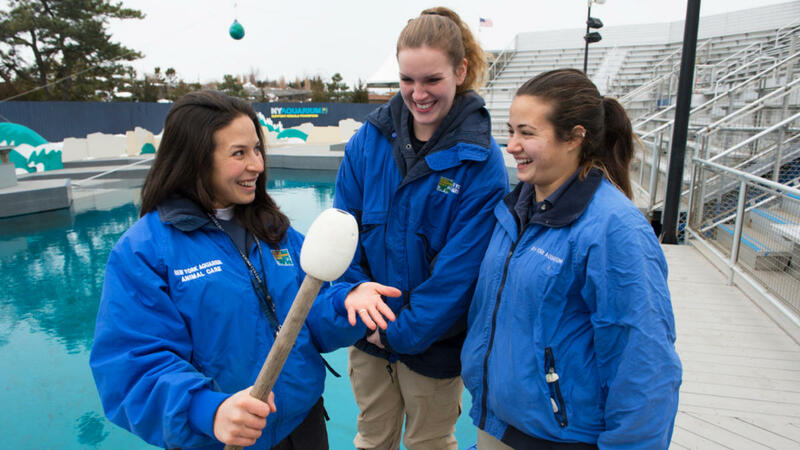 The New York Aquarium's behavioral husbandry internship program expands upon the Aquarium's long-term efforts to educate future Animal Care professionals. The internship focuses on collaborating with the Aquarium's staff as we work to maintain our standards of excellence. During this internship, you will assist in the care of California sea lions and may have the opportunity to perform in daily animal shows. Interns will also work side by side with experienced trainers to learn the skills necessary to succeed in a fast-paced show environment. Note: This position is viewed as a job, and therefore consistent attendance is expected.